Home Yeh Rishta Kya kahlata Hai Yeh Rishta Kya Kahlata Hai 26th June 2018 Episode Written Update"Naira-Kartik Together Catch the Culprit"
Yeh Rishta Kya Kahlata Hai 26th June 2018 Episode Written Update"Naira-Kartik Together Catch the Culprit"
episode starts with Naira shares her plan with Kunal and Tanvi. She tells him that he can help her in nabbing the culprit soon. Kunal tells them that he wants to genuinely help them to get rid of his guilt. Kartik announces to everyone that they have caught the MMS culprit and now the students can resume their normal classes. Kartik hopes that the culprit gets relaxed and it gets easier for them to reach him. Naira wonders why is he lying to the students. Suwarna talks to her friends, who asks her to get Kartik remarried. Bhabhimaa and Devyaani happen to see Suwarna and get worried on hearing the matter. Bhabhimaa doesn’t want Kartik and Naira’s marriage to break. Devyaani doesn’t believe Bhabhimaa, since the latter has a hearing impairment. Kartik and Naira make their own plans to nab the culprit. Dean helps Kartik in his plan and calls everyone for the talk with a celebrity. Naira gets angry on Kartik. Naksh learns that Manish has financially helped him. He gets upset and tells Kirti that Manish should have not done this. Kirti asks him to see Manish’s intentions and love. Naksh tells him that he has issues with Goenkas, so he doesn’t want to take any help. She tells him that he has issues with everyone, even with Naitik. She reprimands Naksh for distancing everyone from him. Kartik gets the students accommodated under one roof. He asks the police to begin their investigations. He makes sure that no one leaves. Naira hopes the culprit comes out by knowing her offer. A guy reaches there and asks Kunal about the offer made for Tanvi’s MMS. Tanvi tells Naira that the guy is their classmate Sunny. Naira gets suspicious about him. Kunal then signs Naira about Sunny. 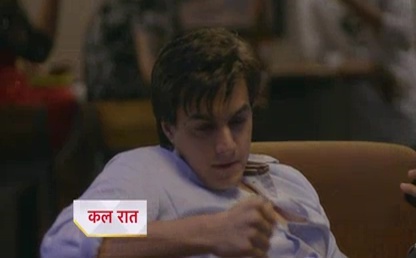 Kartik also learns about Sunny and rushes to catch him. 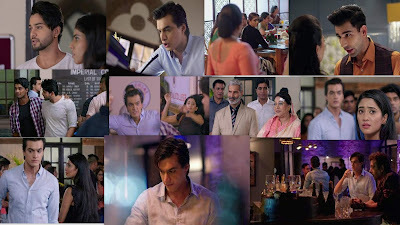 Kartik and Naira catch Sunny to punish him. They realize that they both had their own plans to nab the culprit. Naira’s misconception about Kartik gets cleared when she learns his plan, but Kartik gets upset with her for not trusting him. Dadi tells the students that it was their plan to catch the culprit in Tanvi’s case. The students get praising Kartik and Naira who have worked hard to get justice for Tanvi. Naira apologizes to Kartik for misunderstanding him. Kartik tells her that its her loss of trust because of which she chose Kunal to take help. He gets annoyed with her. Tanvi and Kunal apologize to Naira and get grateful as well. Kirti calls up Naitik and misses his support. She tells him that Naksh really needs him. She asks him to come home for a few days, even if Naira needs him in Mumbai. Naitik understands that Naksh is in some mess. Naira learns that Kartik has left the college in anger. She wonders why is he upset. Naitik tells Naira that he is going home on Kirti’s call. Naira understands that the family needs him. She asks him to take Chitti along. She helps him in packing his bags. Kartik goes to have some drinks and get over his sorrow. He thinks of Naira and Kunal and turns insecure. Naira Gets Shocked to See Kartik is Drinking Like Mad.